Susan Patricia (Stewart) Freland, 82, formerly of State Center, IA, passed away on Thursday, September 6, 2018, at Iowa Methodist Medical Center in Des Moines, IA. Susan was born on November 4, 1935, to Samuel and Rhoda (Gifford) Stewart, of Marshalltown, IA. On July 11, 1954, Susan was united in marriage to James Freland, of rural State Center. They moved to their small farm, west of Rhodes, where they resided until James’ death in 2016. Susan was a devoted mother and farm wife. Prior to having children, she worked at Marshalltown Manufacturing. Susan also served as the Secretary of the Rhodes baseball/softball league for many years. When Susan wasn’t busy doing work on the farm and taking care of her home, she loved to read, watch old musicals/movies and spend time with her family. 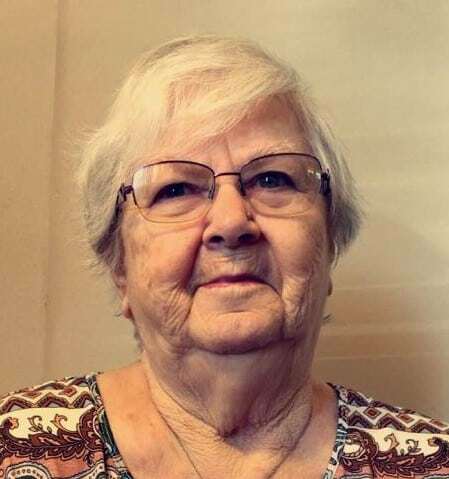 She also enjoyed playing cards, doing word puzzles and collecting Christmas decorations, but her greatest love was her children and grandchildren, whom she adored. Susan is survived by a son, Richard Freland (Michele Gavin), of Des Moines, and a daughter, Jenny Thorn, of Urbandale, IA; and three grandchildren: Cody Freland, Rachel Freland and Regan Freland. Susan is also survived by sisters-in-law, Martha Freland, of State Center, and Marilyn Stewart, of Oxford. She was preceded in death by her husband, James “Jamie” Freland; her parents, Samuel and Rhoda Stewart; her sisters, Donna Lukehart and Ethel Hazel; and her brothers, Darrell Stewart and Jerry Stewart. Memorial services to honor both Susan and her husband, James, who died in 2016, will be 11:00 a.m., Friday, September 14, 2018, at Central Christian Church in Marshalltown, with a luncheon to follow. Visitation will be 9:30 a.m. until the time of the services at the church. Inurnment of their combined ashes will be in Rose Hill Memorial Gardens in Marshalltown. Memorial donations may be made to Iowa River Hospice House in Marshalltown, under the names of James and Susan Freland. Anderson Funeral Homes has been entrusted with arrangements. Online condolences may be sent to www.andersonfhs.com.